Note: This blog post is a review. 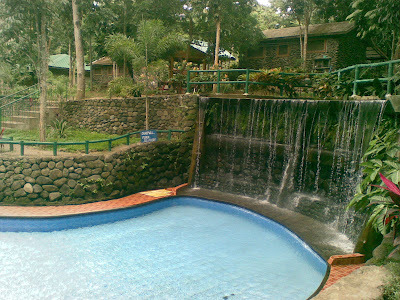 If you’d like to post an inquiry for Bato Springs Resort, kindly send them an email at batospringsresort@gmail.com. I’ve been to many resorts in Laguna, but this one really stands out. 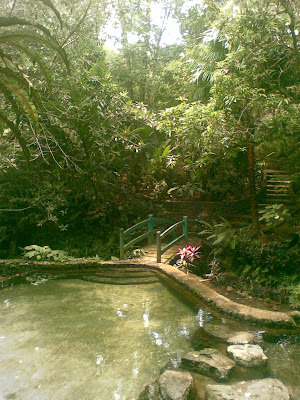 Amidst the lush landscape of Bato Springs are pools that aren’t your usual tile-lined vats of chloroform–the walls are made of stone and the floors of cement, allowing them to blend into the surroundings as if they were natural springs. 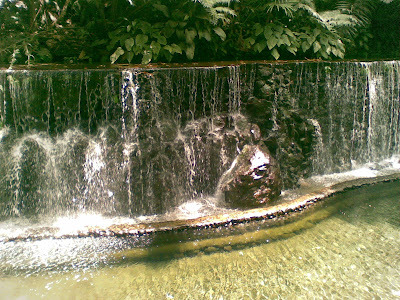 One refreshing feature is the presence of artificial waterfalls beside many of the pools. If only for aesthetics, the waterfalls already do a great job, but even more, they make swimming in the pool a much livelier experience as well. For those who aren’t so comfortable with such natural-looking pools, there is one tiled pool. It didn’t miss out on the special feature, though. A lovely artificial waterfall still enlivens one side of the pool. 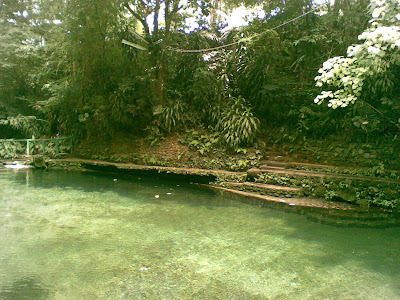 Taking a walk around Bato Springs is a real treat. It’s not your usual square-ish resort; the paths are winding and surrounded with lovely scenery. At times, you’ll get to cross some of the pools using a short footbridge (a la Gaugin) or big stones that rise above the water. 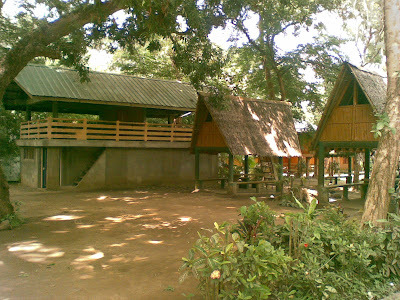 You’ll also see the different types of huts and cottages that guests can rent. The cottages are your typical booth + table in the middle + nipa roof on top. 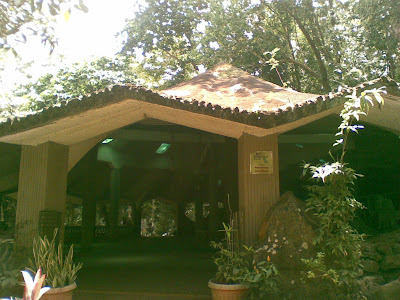 The huts, which are of different sizes, are reminiscent of the kubo but with some obviously modern furnishings (metal roofing, cement ladders and posts, glass windows). I was also told that some venues had air conditioning. I’d recommend Bato Springs for a family getaway. With its affordable fees and quaint facilities, all the members of your family will get a good rest in this resort in San Pablo. Who’d think that this is a pool? 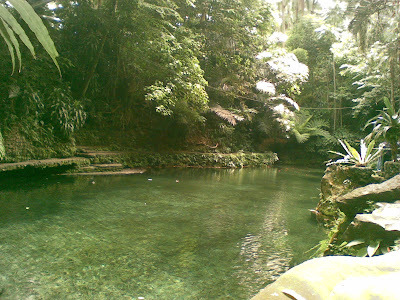 For inquiries, please email batospringsresort(at)gmail.com or post on their Facebook page.